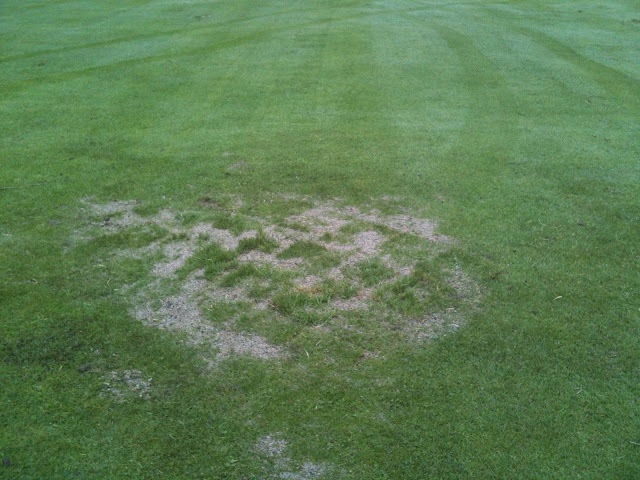 The fairways at Pender Harbour are notoriously bumpy. When the course was constructed the forest was cleared and buried or burned under the current fairways. Over the years the buried wood has decayed causing the soil to settle in these locations. Since 2005 we have been working to smooth out the worst areas of the fairways. Our old process was to lift the sod on a large (300 m2) area and smooth the soil then re-lay the sod. This method of smoothing worked really well but is very time and labor intensive. With our old crew of 5, I estimated that it would take us 40 years to fix all the bumpy areas of our fairways. As we now have a crew of 3 we have changed our approach to the bumpy fairways. Firstly we have begun to embrace the bumps. 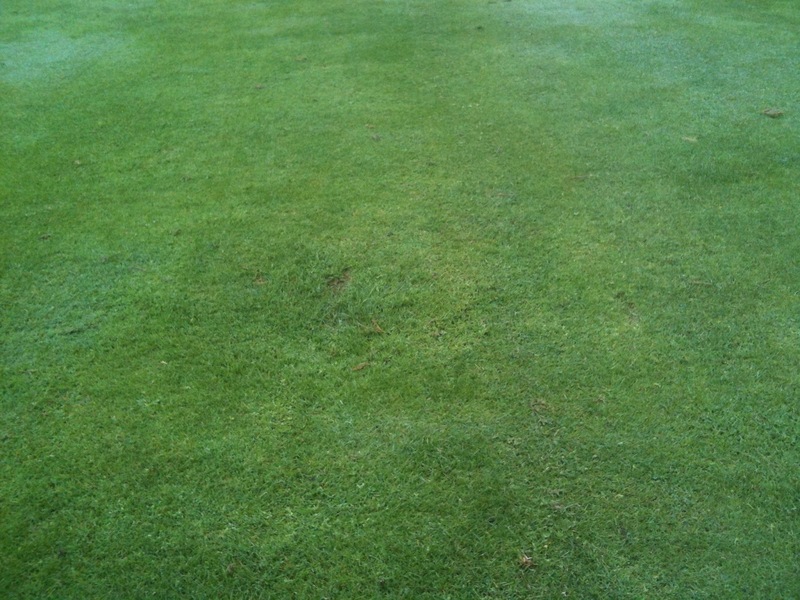 The bumpy fairways have become a part of the character of the course. Locals know where the bad spots are and play to avoid these areas. It is also very apparent when inter-club matches are hosted at Pender Harbour that our members are very good at hitting shots from lies above and below their feet. These skills give our members an advantage over other golfers who are used to smooth fairways. Finished Hole topdressed in sand. We have also changed the way that we are going to tackle the bumps on the fairways. Instead of tackling large chunks we are going to tackle the worst of the worst bumps. These are the bumps that will throw you from your golf cart, swallow your golf ball, and damage our mowers. We have begun to lift just these small isolated "holes" and fill them with soil then re-lay the sod. A team of two people can easily fill the really bad "holes" on one fairway in a day. We will continually be working on the bumps whenever we have time. This allows us to not have to commit to huge projects and makes it easier for our small crew. The results will also be more apparent and widespread as we are able to cover more ground. I got a drone! Thank you! How Wall-toWall Irrigation is Killing Golf! Jason Haines. Picture Window theme. Powered by Blogger.